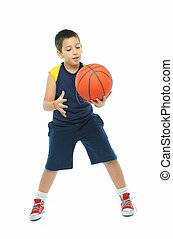 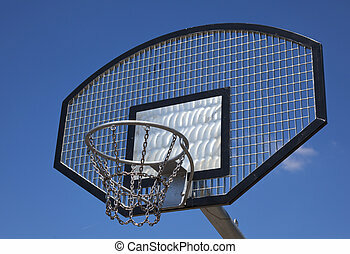 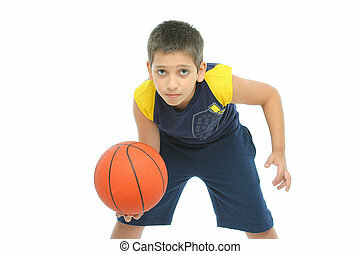 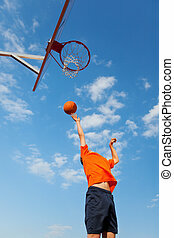 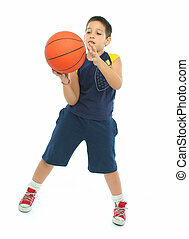 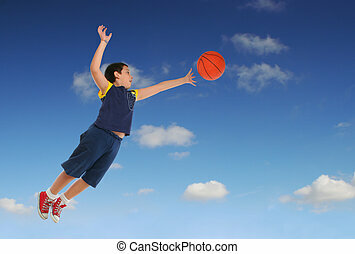 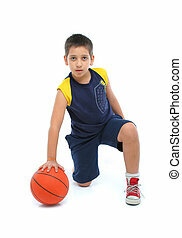 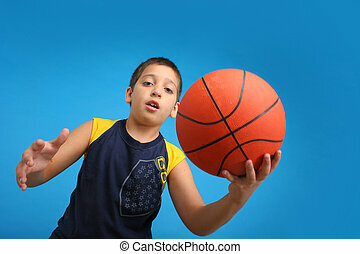 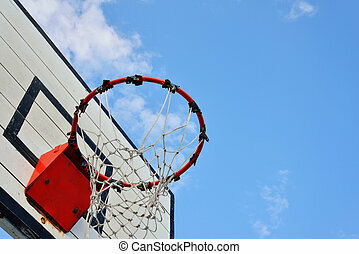 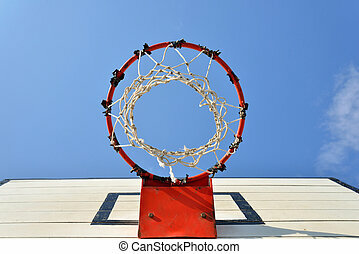 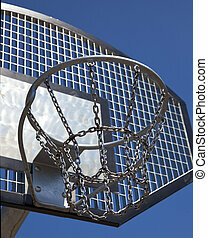 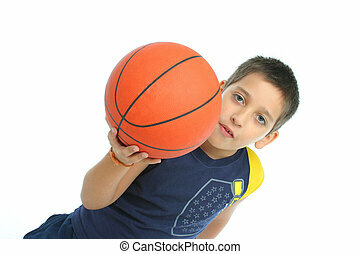 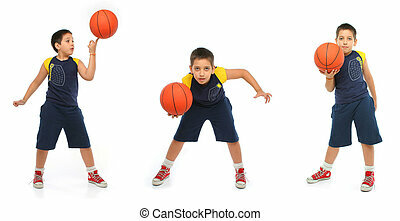 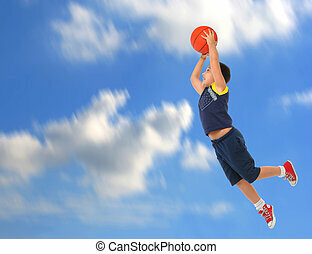 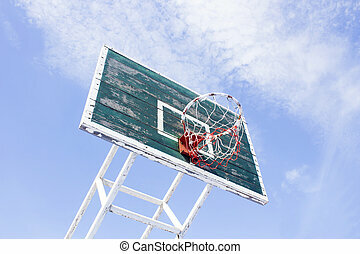 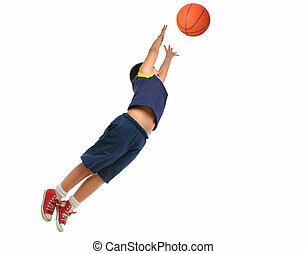 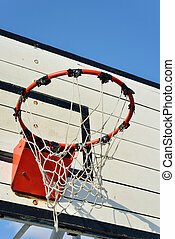 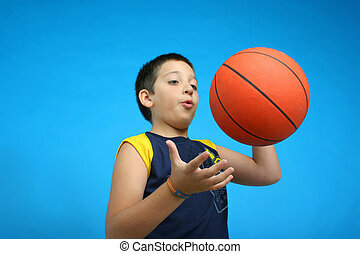 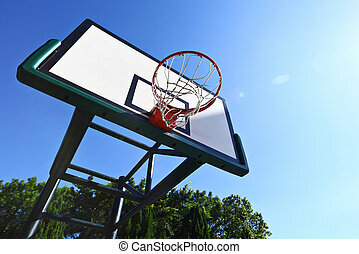 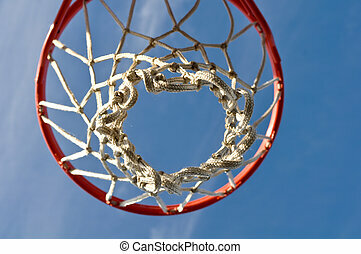 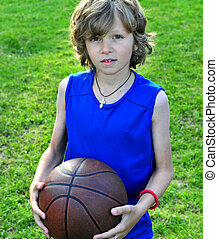 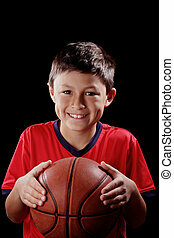 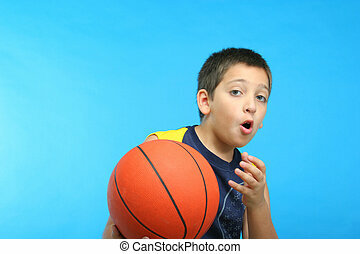 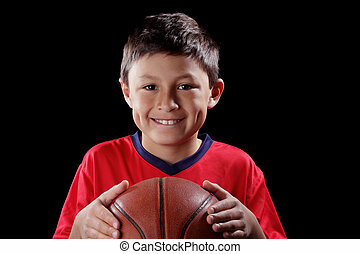 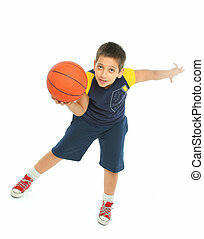 Boy playing basketball. 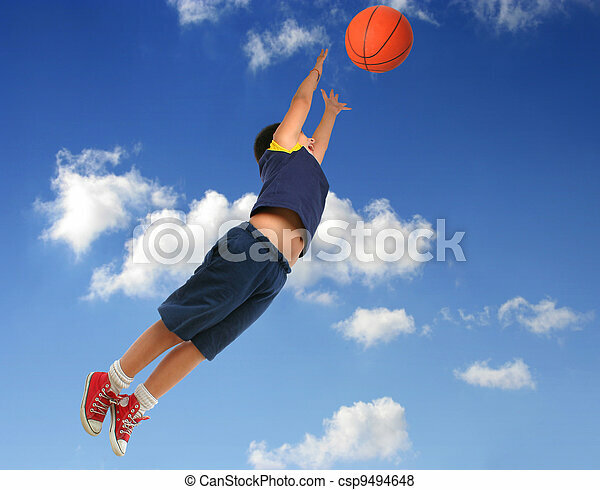 flying with blue sky. 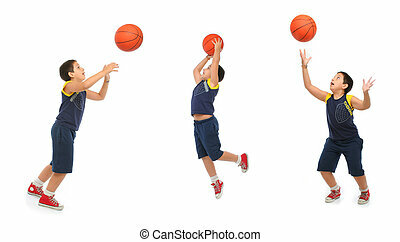 Boy playing basketball isolated. 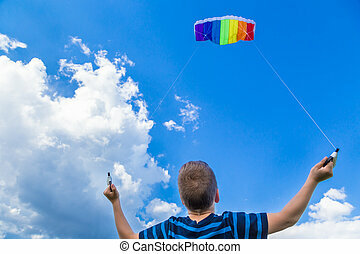 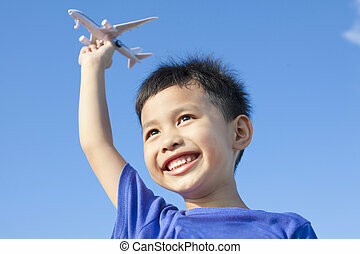 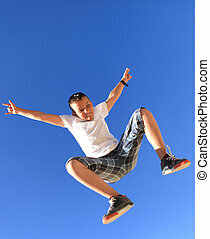 flying and jumping with blue sky. 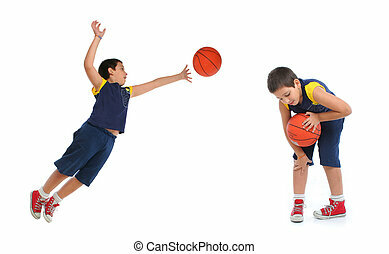 from my sport series.